This email arrived the other day from Ray Hall in Australia. 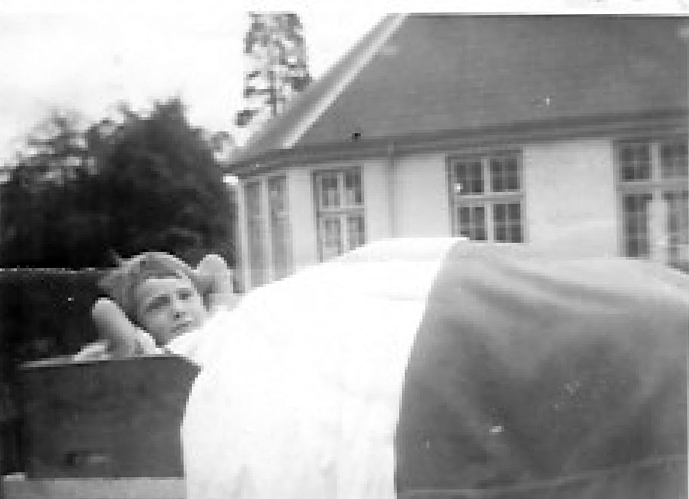 He emigrated there as a young man in 1969 after spending three years as a plaster bed patient in Craig-y-nos. He goes on to say that it was a friend who alerted him to the Internet site with this blog. His memories of those years in the sanatorium are hazy except that he went in as a four year old and was made to lie in a plaster cast for years and that he was wheeled outdoors in all weathers for the “fresh air treatment”. While he went on to become a successful civil engineer in Australia, married with children and grandchildren the memory of those early years, years which he had locked away, can still bring tears to his eyes. But how about this for a coincidence? When he emigrated to Australia in 1969 he stayed at the same hotel as the touring Welsh rugby team and he got the autograph of Clive Rowland, their coach. Only now, through the blog, does he learn that they were both in Craig-y-nos at the same time! Everyone does Ray. You are not alone there. That’s why our reunions have been so beneficial – they have helped people to come together to share their experiences, heal and get a sense of closure. Ray left school at 15 with no qualifications, and little prospects. full time with Sir Robert McApine as a civil engineer. With New South Wales Government. Manager with Senior Executive status. firm Ellis Karm & Associates. South East Asia, Europe and UK. made it" as you have rightly stated and I am proud of my achievements.